Wedged between Aristarchus and the terminator is the crater Herodotus. 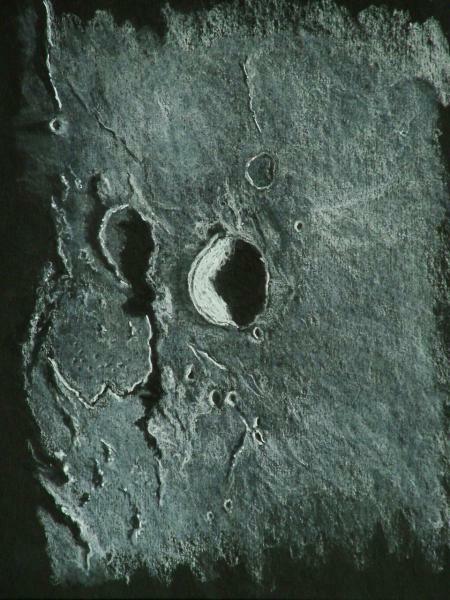 Its incompletely illuminated eastern wall seems to extend out to form one end of the serpentine valley Vallis Schröteri. This meandering valley sees the highlighted valley wall bounce around from side to side with the change in direction of the meander. Again I chanced upon very stable conditions to be able to see such fine detail. This is one of my favourite sketches I’ve done.